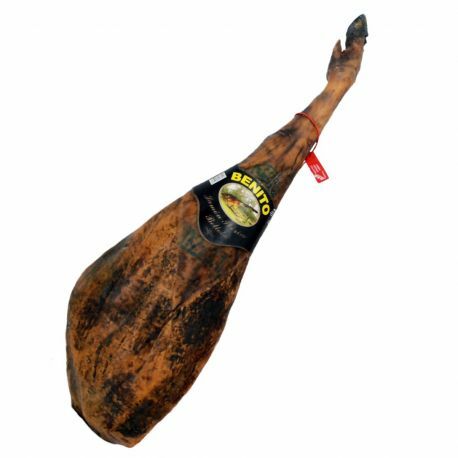 Piece obtained from the hind limbs of the Iberian pig, fattened in the last months of Montanera (natural pastures and cork oaks) to get about 170 kg. The seasoning and natural cure is 24 to 36 months. It presents a top layer of outer fat that denotes the diet based on acorns and natural feed.